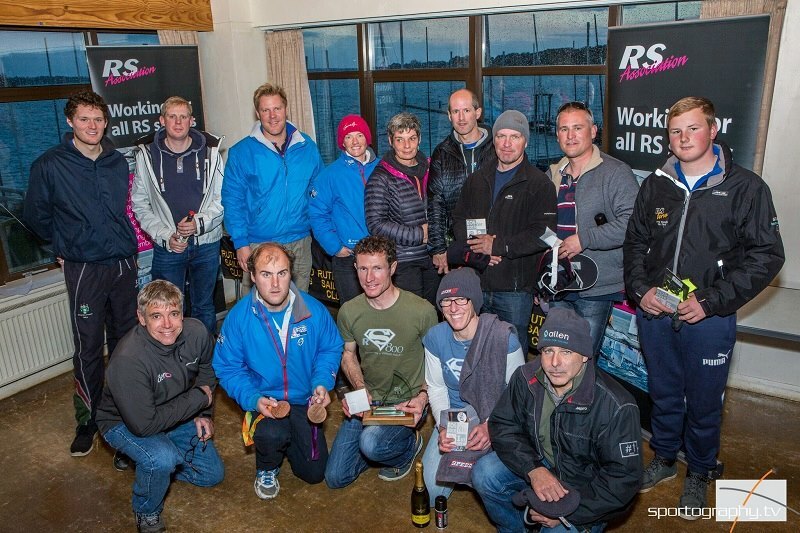 The RS Aeros joined the rest of the RS family for the season closer, the End of Seasons at Rutland, which doubled up as the grande finale for the 2016 UK Southern and Northern Circuits. In a true test of ‘North meets South’ 39 RS Aeros convened from the length and breadth of the country. Greeted by lovely sunshine but chilly 30kn gusts from the north a large portion of the fleet were very pleased to have the option and flexibility to swap down a rig size increasing participation, enjoyment and ultimately safety. With a stiff northerly breeze and wind chills to match, the regular RS Aero 9 sailors sensibly ventured out with their 7 rigs, myself and Chris Larr included, making the 7 fleet swell to 24 and the RS Aero 5s up to 15. Waiting as long as I could on the shore before braving the conditions, I ventured out. The first start got underway without any issues with everyone jostling for that clear air. The further up the beat we went, the shiftier and gustier it became. A small group of 4 or 5 boats pulled out a small gap on the rest of the pack when rounding the windward mark and shot off down the perfectly set reach, then off on to the run with a few wobbles as the waves started to stand up a bit, gybes were always a bit of a spin the barrel and hope there wasn’t a bullet gust coming at you. At the rounding of the leeward mark Chris Larr led Anthony York by about a boat length and they went on to finish in that position. With the breeze set in for the day and the clouds moving in the going got yet tougher. We set off fighting the chop and the gusts to try and get the nose out in front for some clear air. 3/4 of the way up the beat and the RS Aero 5 was looking like he was leading the 7’s, showing some impressive speed upwind. In fact it wasn’t until the last lap that they dropped behind. I managed to just overhaul Chris Larr on the top reach only for both of us to do a formation gybe / capsize down the run, not looking good for that race for us as young Liam Willis had pulled out quite a lead on the group in front of us, Chris managed to fight his way back to a win and I was just behind Jasper and Finlay Barnham in 4th. Having now felt that we’d worked very hard in race 2, race 3 was always going to be a punisher and I can’t remember much about it, so it must have been! All pretty close at the top with Chunky in a Jasper and Finlay Barnham sandwich. Jasper went on to win the race with Chris ending the day at the top, it was all on for Sunday, if our bodies would take it! Sunday dawned with glorious sunshine and the prospect of a 2 hour endurance Pursuit race around Rutland against all the RS fleets. The big race was to be double points and non discardable leaving the result sheet wide open with it all to play for. The Aero 5’s set off first with the 7’s 4 minutes behind. The 7’s set off on a drag race fetch-reach to mark 1 & 2 and then on to the first beat. This was going to be tough as the top reaches were quite tight and gusty with lots of playing the main. For the first lap and a half the 7’s leader changed quite a bit in the shifty, gusty conditions, with Chris Larr gradually getting into the lead and pulling out a comfortable one at that. After around 40 minutes of racing Chris was leading the pursuit after overtaking the lead RS Aero 5, Andrew Frost. Chris followed by Chunky and then Ben Rolfe had just to hold off the faster fleets coming through. As we flew down the bottom reach at a similar pace to the 2 sailed RS800’s we thought this may be closer than we originally thought and with 10 minutes to go (as we were starting to catch up with lapping the RS400 and RS200 back markers) the first RS800 eventually managed to get past Chunky and then Chris, then near the end one more got past Chris and a 3rd split Chris from Chunky, leaving a good show of RS Aero 7’s in the top 10 of the race. It was a good opportunity for the RS Aeros with 4 legs of the 7 leg course being planing reaches and too tight for the other classes to fly their kites. Ultimately however the power of the RS800s trapezes clinched it on a windy day with long legs. Weary but elated we returned to shore. 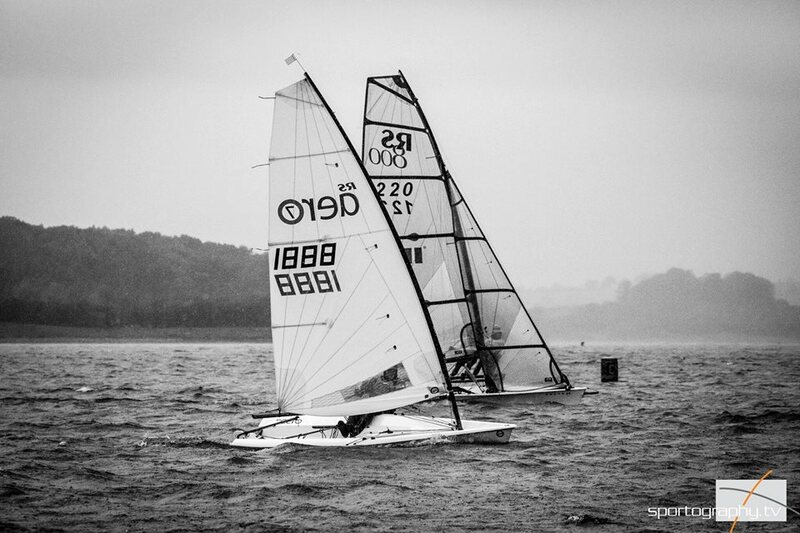 There is no other sport that gives you a work out like sailing! Thanks to top RS800 sailor Emma McEwen for designing and producing the lovely coaster trophies, Circuit sponsors Magic Marine, RS Sailing, Volvo and Speed Six. 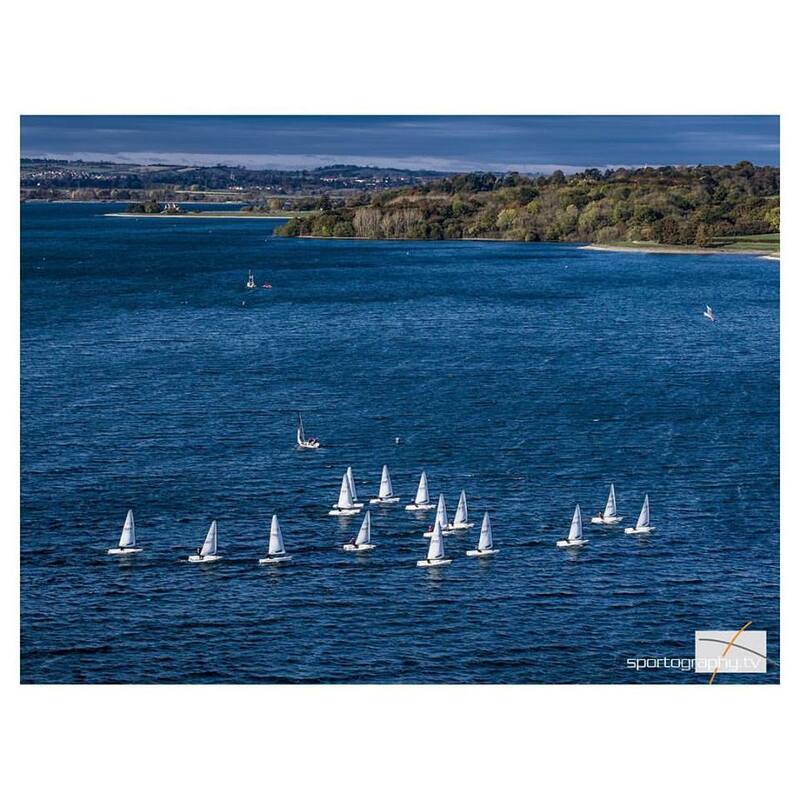 Thanks to Rutland Water SC for hosting a great event in tough conditions and to the amazing Clare Sargent for all her hard work, there is a gigantic amount going into an event like this. Awesome to have Volvo Team GBR ambassadors John Pink and Niki Birrell attend to pass on their top tips and present the awards too.